ABS model: cm4xl-4s/4k (4s/4m), ABS production plant: Guangzhou ke mi Automotive Electronic Control Technology Co., Ltd. This vehicle is reffitted from original DONGFENG 6×4 chassis with compact structure . 1.All the data above is for reference ,we keep the right to improve our product. 2..Price will be changed depending on the exchange rate and amount. Water trucks are commonly used in mining applications, primarily for dust control. Water trucks usually consist of a series of spray nozzles equipped with the mechanics to pump and spray water to remove overburden or to hydrate mines when they become dry. The trucks are different from a typical truck in that they must be able to contain a large volume of water, requiring special tank specifications and mounting apparatuses to include spray nozzles and associated equipment. The construction industry uses them for compaction, dust control and fire-prevention and protection. The entertainment industry also uses water trucks for street wet downs, fire control stand-by and many other reasons. Water trucks are used also used by the fire-fighting industry in battling forest fires. A special type of water truck called a potable water truck is a water truck or water tank trailer that supplies bulk water for human consumption to people living in areas that don't have access to a public water supply or a water well. They may also be used for filling up swimming pools, fire-camp service and in major sporting events. 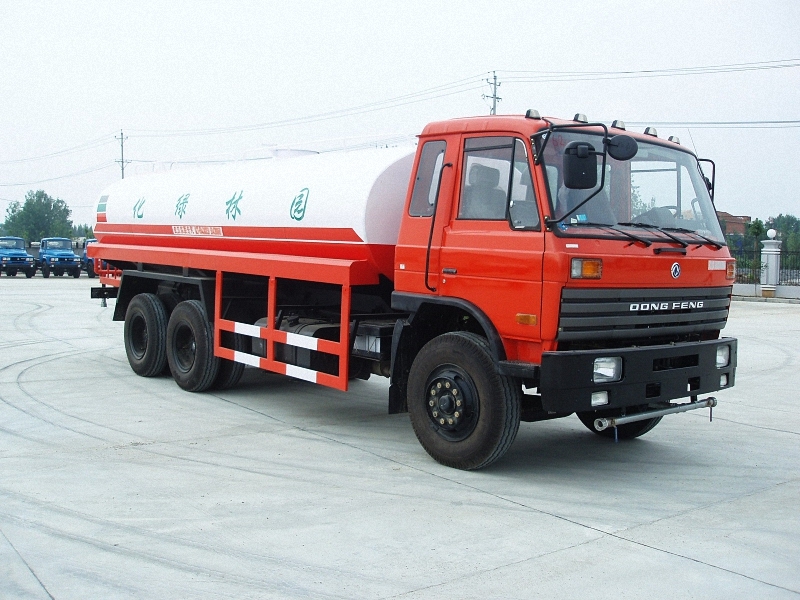 Also water truck can be classified as diesel water truck, gasoline water truck, electric water truck, and water tank truck according to driving force. It also can be divided into 6×4 water truck and 8×4 water truck according to drive mode. 1. The water tanker is equipped with front sprinklers, rear sprinklers and side sprinklers. So it can spray water in every direction. 2. The water cannon is installed in rear working platform. When it shoots straight stream, its effective range is above than 28m. When it shoots mist flow, its effective range is above 15m. 3. 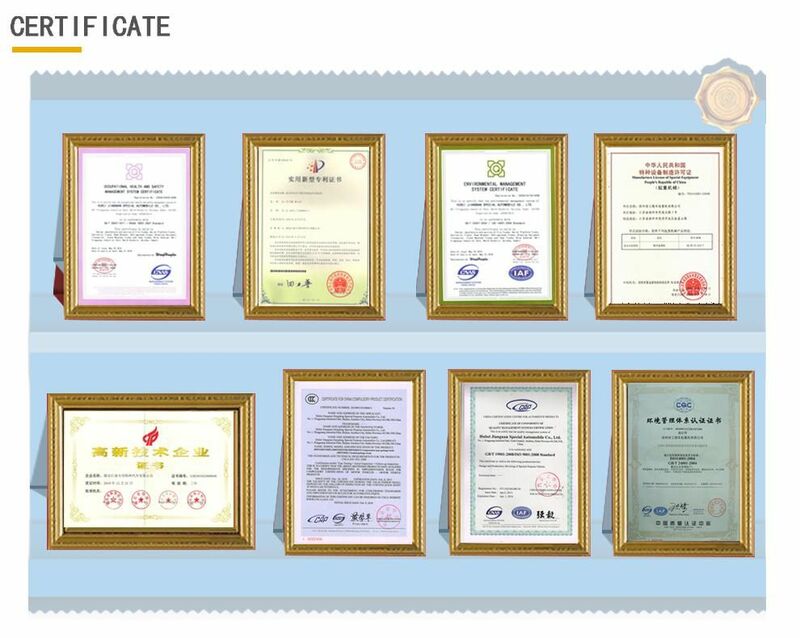 The equipment for spraying medicines, medicament tray, medicine feeding pump, water fittings, solenoid pilot actuated valve, and air-operated valve are available upon request. 4. It has functions of water carrying and water draining, and also can be used as fire pumper. 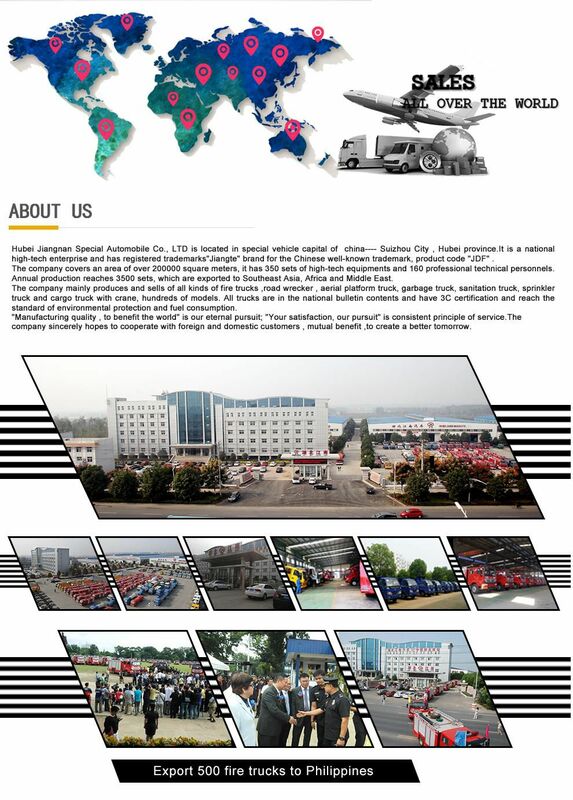 The water truck is widely used to spray water on pavements, trees, green belts, lawns, guardrails highrise, and more. It also can be used to spray agricultural chemicals. 1. Users should strictly refer to operation instruction to maintain the classis and pump. 2. Users should run water wagon in before use according to operation instruction. 3. Anti-skid device is required for long-distance driving. Drivers should keep 200mm space with other vehicles. 4. The exit holes should be regularly checked to ensure no clogging. 5. The water should be completely drained off from pipes if water tanker will be not used for a long time.